From December 10 to 17, we (Mr. Tomonaga and 1 graduate and 5 undergraduate students) visited two places of Sabah in Malaysia to observe wild orangutans and rehabilitant ones. 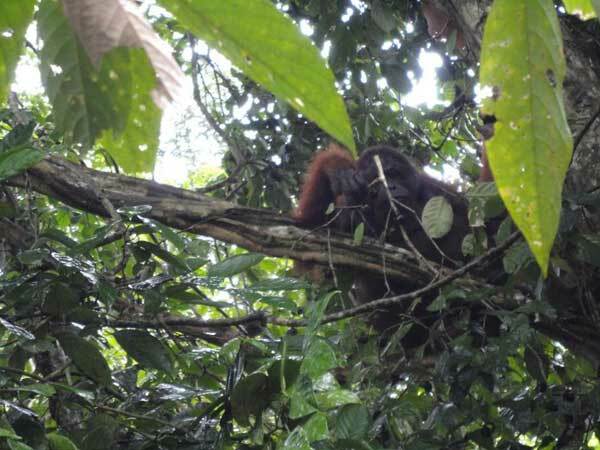 On 11 to 14, we observed wildlife including orangutans in Danum Valley Conservation Area. 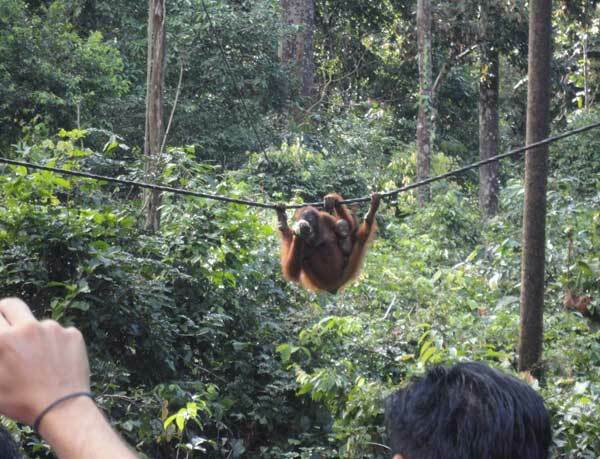 Fortunately, we could observe orangutans for all days, and moreover we could observe them so closely once. On 15, in Sepilok Orangutan Rehabilitation Center we observed rehabilitant orangutans. We could see a male orangutan pester a female orangutan with her baby to copulate.